What has been evident to us is the need for our work here to continue. We have received overwhelming support from both locals and international visitors alike. A big thank you to Josie McNaughton who volunteered with Fiona for 4 months in the local school. Josie also helped with the mobile vet clinic run every two months and has returned home to Australia to continue her support through fundraising events. We are very grateful to Josie and her family for their valuable contribution to our organization. Last month, George, one of our founding board members also visited us here on Koh Payam with Gary and Amanda, during a scheduled vet visit. George was invaluable with his skilled photography and helping hands. 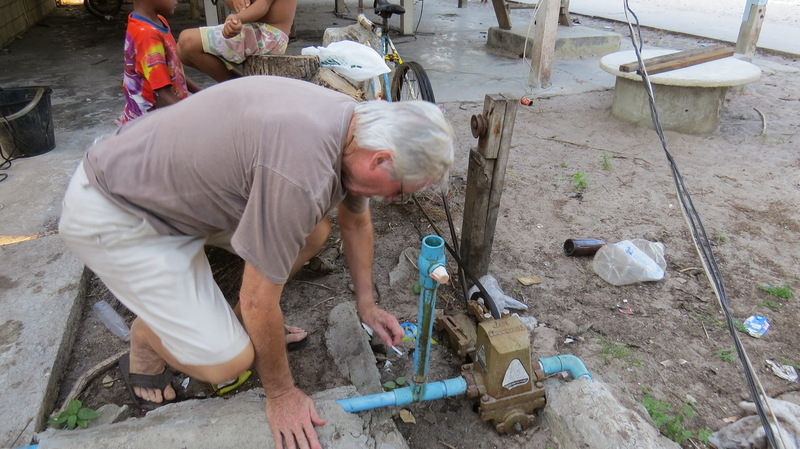 Gary cleaned and repaired the wells in the Mokien Village with the help of our friend Phillip, and thanks to George we have many wonderful photographs. As a result they now have clean drinking water and are able to pump it through the new hand pump Gary installed. This will improve the health and wellbeing of all the people living there. Gary and Amanda will return in July and monitor how things are going. 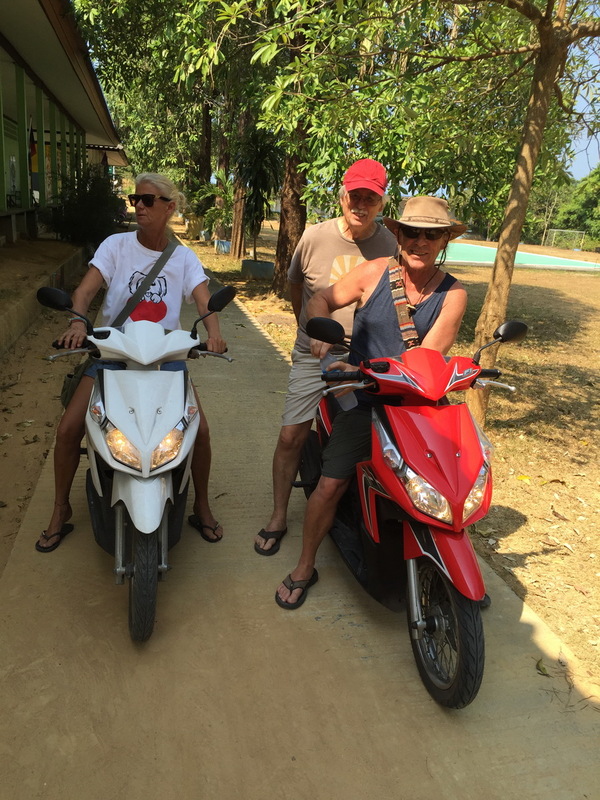 Dr. Sam and his wife Kuhn O have now visited us on four occasions. Each visit sees a new round of both cats and dogs being spayed and neutered across the island. For each dog that is paid for, All for Villages provides the funds to treat other animals less fortunate for free. A total of over 100 animals have so far been treated. 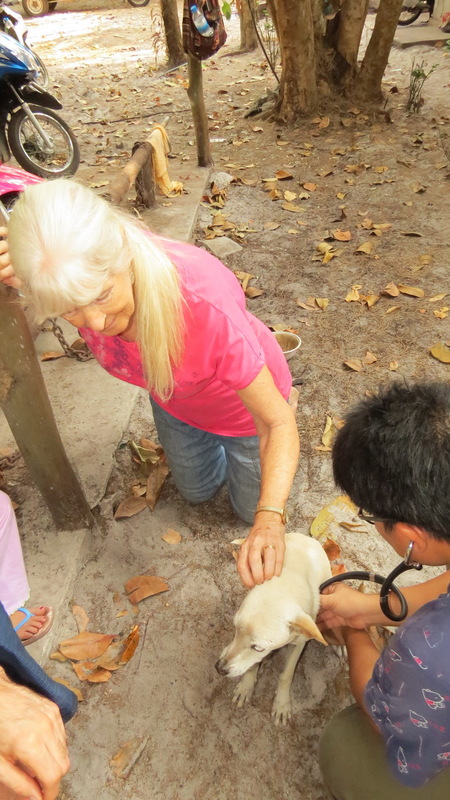 Fiona provides basic medication for free treating simple ailments, such as, mange, worms and tick and flea problems in between visits. Dr. Sam will return in May for the next round of work. The children at school continue to make beautiful cards that are sold across the island in many of the bungalows and restaurants. This project set up by Fiona has given the children the opportunity to have a small income for themselves at the end of each month. 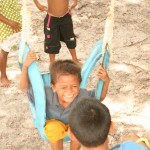 We would like to thank all those who have supported the kids of Koh Payam and their endeavours. We would also like to thank Nara, a young local man, who is our go to boy for all our needs during our visits. 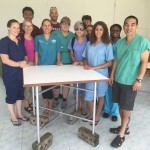 He provides transportation, carries all Dr. Sam’s equipment as well as organizing our accommodation. During or visits his parents P Tao and Dao provide food and a warm family welcome at their restaurant, My BBQ Bar on Buffalo Bay. All for Villages is proud to be associated with this special community.